The New Guinea Singing Dog is native to New Guinea. Explorers in the 1800s described the varying popularity of the dogs in the lowland villages of New Guinea. In some they were treated as pets, while in others they were abused. By the 1900s, hybridization with imported dogs had made the native lowland New Guinea Dog almost extinct. However, in the 1950s two pure dogs were captured in the isolated Lavanni Valley in the southern highlands, and eventually sent to Taronga Park Zoo in Sydney, Australia. In the 1970s, another pair was captured in Irian Jaya's Eipomak Valley part of Indonesia. Virtually all Singing Dogs in Europe and North America descended from these pairs. This Dingo-type dog is a close relative of ancient dogs that were domesticated from Asian wolves between 10,000 and 15,000 years ago. The breed acquired its name from its howl, which is an undulating and modulating series of tones that blends into a swelling portamento. The musical quality of the sound is unlike that of any other dog, even the most beautiful voices of the scent hounds. Considered the world's rarest dog, the breed is even rare in New Guinea today. It can be seen in a number of zoos around the world and is kept as a pet by some fanciers. Some call it the most primitive dog in existence. The breed is recognized by the UKC, which allows them to compete in competition. Currently the NGSD is classified as a domestic dog subspecies of Canis lupus, Canis lupus dingo. 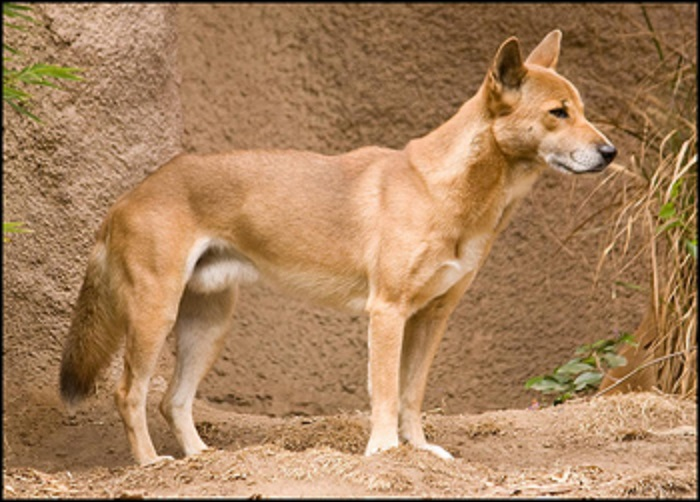 The New Guinea Singing Dog is very closely related to wild dogs and, as such, is a hardy and healthy breed. This breed is genetically sounds and not prone to any severe inherited conditions. As is true for all breeds, responsible breeding practices and genetic testing can help reduce the risk for health problems. Being bred to canines rather than to their own kind has resulted in a "watering down" of the New Guinea Singing Dog gene pool to some extent.